For the second week running, rain hampered Henley’s chances of extending their lead at the top of the Home Counties Premier League Division 1 Table. 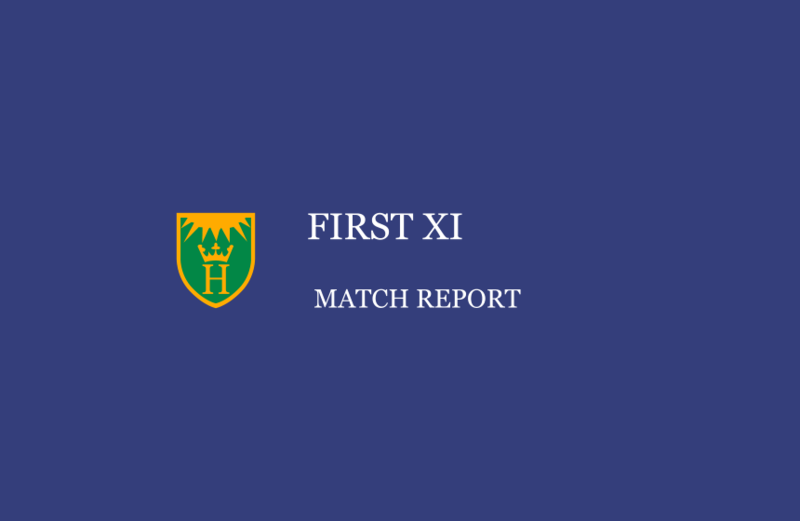 Playing second place Finchampstead, the league leaders managed to reduce the hosts to 109-7, with a dominant bowling display which could have been further improved if it weren’t for a lacklustre display from the Henley fielders – a very rare occurrence this season. Nevertheless, both sides walked away with 6 points apiece, meaning a status quo at the top of the table, with all other games in the league also eventually being abandoned. Missing regulars Morris, Rowe, Barnes, Davies and Woods for reasons various, with the latter on 12th man duty for England at the Oval, Henley went into Saturday’s fixture with a side made up of a number of 2nd XI players. Although on paper this perhaps looked a weaker team, Henley Cricket Club has developed strength in depth over the last 18 months and with its 2 nd XI playing in only two leagues below, the side fielded on Saturday was more than a match for last year’s champions. Nugent and Afridi were again outstanding, the former unlucky to not take more wickets and the latter bagging a ruthless 5-for, hitting the seam on a regular occurrence and getting the ball to move both ways in the air. FInchampstead simply had no answer, with only young Berkshire prospect Rogers showing any resistance, remaining unbeaten on 41. After a number of reprieves, House was the first to go, eventually caught by Jordan at mid-on off the bowling of Nugent. Oliver soon followed, caught by Brock at point off Afridi, before Nugent grabbed his second wicket, clean bowling Finchampstead’s robustly built captain Marles for 11. Both Lincoln and Carter attempted to rebuild with Rogers, however lacked the requisite skills and determination to withstand Afridi’s relentless onslaught, which also accounted for Coetzee, brilliantly caught by Davison standing up to the stumps. Lincoln was caught by Legg at midwicket, whilst Carter nicked off to first slip substitute fielder Morris, who is set to return to action this weekend against High Wycombe after an injury lay-off. Just before the rain set in, Afridi had his fifth, Hodges caught again by Legg at midwicket.